It was a pleasure working with Bradley! He was very supporting on setting up interviews and working around my schedule. He always followed up to make sure I was happy with the end result. He made sure of the important things that I was looking for in a new employer and he helped me to get a new position. He's professional, friendly and negotiated with the client on my behalf for what I was looking for. Thank you so much Bradley, you helped me to get this job! I have worked with Bradley on two separate occasions and the level of professionalism I experienced and the quality of companies he represents is top notch. I will be referring him to anyone I know looking to advance their careers. It was a pleasure working with Bradley! He was very thorough in his questions to determine what I was looking for. When our first opportunity didn't work out, Bradley kept looking and found a much better one months later. I am very grateful for his help and friendship during this process. I would definitely recommend him, especially to someone who is looking for something more than just a job. Brad was absolutely fantastic to work with. He was the one who found me and it took him very little time to get an understanding of what I was looking for in a position. He helped me to a relatively quick placement and I couldn’t be happier. I would highly recommend working with Bradley to anyone currently looking. Bradley was a fantastic guy to work with. Previously I had no experience working with Bradley or Omni One, but found him to be a thorough and professional guy to assist me with my job hunt. He went out of his way to ensure that the hiring company and myself had all of the necessary information, and he always followed up to make sure I was happy with the results. I had some prior experience with another recruiting company in Dayton, and was frankly tired of their lack of effort and follow through. He provided a refreshing improvement from my previous expectations. Good job Bradley! Thanks for your help. Brad was a pleasure to work with who ultimately put me in my dream position. Brad found me, promoted me and coached me to succeed in this adventure. His diligence was ultimately my success! He is hands down the best recruiter I have ever worked with. Work with Brad. You will not be disappointed. Thanks to Brad for getting me a job that I worked for a little over 4 yrs. He gave me an opportunity of a lifetime I couldn’t pass up. And now I’m starting a career all because of Brad. If he didn’t get me a job I would here where I am now. Once again Thank You Bradley. We’ve used Brad to recruit talented engineers at our company, and we’ve often had up to (8) different recruiters working on the same position. In these instances, Brad has consistently brought a shorter list of more talented and harder-working prospect to our attention than other recruiters. 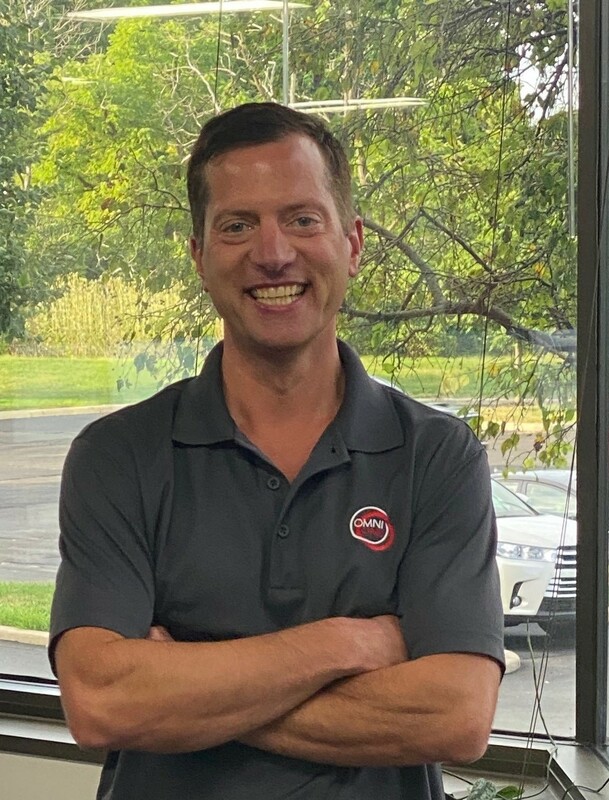 Brad appears to truly do what we expect of a good recruiter – understand our company’s culture and requirements, and then work hard to sort through the many candidates looking for a job, to find the few who might excel in a career with our company. Brad not only found me the job but also was able to get me well prepared for the ever so stressful first interview. With Brad’s help, I went into the interview with confidence and didn’t stumble on any questions. This allowed me to really highlight my strengths and weaknesses clearly to get the employer to know what they get if they were to choose me. Ultimately I was compensated more than I was even asking for. I will contact Brad first if I feel the need to make a change again. I had the opportunity to work with Brad on new employment. I was not really searching. Brad looked at my background and found a match that would match my interests and goals. After vetting out the company, and talking with my family, the move made good sense. Brad was very understanding of all of my concerns and wanted nothing but the best for my situation. I highly recommend his services. Brad was very helpful while communicating with me for my job placement. He told me as much as he knew about the company, and what they were really looking for. He is definitely one of the best recruiters I have worked with. I also had an opportunity to work with Brad on an opportunity for new employment. I was not searching for a career move during this time. Brad looked at my resume and happened to come across a position that my interests and educational background. Bradley was very attentive and not only answered all of my phone calls, but he also worked with me as if I were the only person that was interested in this position. Because of Bradley, not only was I was able to interview for my dream job but, with his guidance, I was able to nail the interview and the company was so impressed that they cancelled the other two scheduled interviews and was hired the following day. I will sincerely be forever grateful for the opportunity that Bradley and OmniOne provided me and will not take my new job for granted. They helped make my dream job a reality!! Bradley worked with me over the course of a couple of months as we looked at various opportunities. Bradley helped me narrow the possibilities down and then worked with me and the company to quickly come to the right decision. Brad was extremely helpful in providing me with information about the company and the company additional information about me. I would recommend Bradley to anyone looking for a career move and for any organization looking to add to the their staff. I was recently laid off from work and looking to get back on my feet with a good career. Brad reviewed my resume and called me about a job opportunity that he felt would match my interests. He provided me with a detailed overview of the company and also their expectations for the position they were looking to fill. Brad prepared me for the interview so I was able to walk in the door with confidence about my skills and my ability to land the job. The day after the interview I was offered the job and Brad was able to negotiate the compensation that I desired. I would like to thank Brad and the OmniOne team for giving me such a great opportunity. I highly recommend his services. I was looking to make the next step in my career, and I happened across a posting OmniOne had. I happened to apply, and soon after Bradley contacted me. I gave him my updated resume, and within a couple days he had interviews set up with a couple companies. He was quick with responses, and extremely thorough. He helped review the entire interviewing process, and he helped me fine tune my responses to typical interviewing questions which was a great tool and asset. Soon after I was offered the job at both companies I interviewed with. I would definitely recommend anyone looking to make a career move to talk with Bradley, you will be in great hands. I know for one if I plan to make another career move I will definitely contact Bradley and OmniOne again. Brad was very helpful for locating a job for me. He told me as much as he knew about the company, and what they were really looking for. He also helped with ways to be prepared for interviews. I would contact Bradley for future job searches. Bradley was extremely helpful and I couldn’t ask for someone better to assist me in my journey to my new career. He was always on top of the latest news from the company and provided daily updates. I would strongly suggest Bradley to anyone looking for a change in careers. I was having a lot of trouble finding a job after I graduated. Bradley contacted me and was very helpful in figuring out what kind of job would be a good fit for me. He asked a lot of questions, as well as answered any questions I had about the company, interview, and the position. He was open, honest, personable and relatable, giving me advice before and after my interview. Being that I was new to the work force, he was an amazing support and resource. I would definitely encourage anyone looking for a job to talk to Bradley. Bradley was helpful in helping me gain a more professional career. He keeps on checking with the client and pointing out the good points in my career. I am contented with my present employer. Bradley was extremely helpful in finding me a job within the criteria I requested as well as the desired location. I couldn’t be more satisfied. Thanks Bradley. I had originally applied for a different job through OmniOne, but Bradley reached out with something he thought was a better match. Two weeks later I was accepting a job offer. He gave me many valuable tips and some much needed guidance to help along the way. Thanks for everything Brad. Bradley is very professional and was instrumental in helping me find a position to get me to the next step in my career. He is always quick to respond whether via phone or email. He provided me with various tools to help me prepare for interviews and was quick to provide post interview feedback. Bradley was not only very helpful in matching me with a company and a position that I love, but he also took the time to make sure I was well equipped for the entire interviewing process. I would definitely recommend him to anyone. I worked with Brad on obtaining my new employment with a great company. I had just began looking into finding a new career and with Brads help he fast tracked that search for a new career. He used my skill set along with my education and paired me with a company that fit right into the career path I was looking to go. He was extremely helpful in all aspects of the process from helping me prepare for interviews with sample questions/ answers to giving me tips on clothing that would make an impression for the interview. I would definitely recommend Brad to anyone that I know looking to advance their career. Many many thanks!!!! I must say that Brad is not the typical recruiter, he actually took the time to know my interests, skills and family and prepared me well for multiple interviews. He matched me with a company that desired my skill-set and personality. I admire his ambition and his sincerity as a recruiter and many thanks are given to him. Thanks again, Brad. I had the honor to work with Bradley. Fresh out of college and no coop experience, companies wouldn’t even give me a chance. Brad got me interviews in jobs I really wanted and that fit my education. He talked me through my decision between 2 job offers and helped me choose the right one. Thanks a lot, Bradley! While working with Brad for an opportunity, I find out that he takes care of both his clients and his candidates. He works on every detail and makes the best matches. He is thoughtful and sincere. I would recommend Brad to anyone who is looking for a job or a candidate. I have had a great experience working with Brad. He has been very quick to act, yet responsive and thorough. He takes a very high level of interest for you to not only obtain a job but to make sure it is the right choice both for you and the employer. Even before the interview, I felt I had quite a bit of knowledge about the prospective company and the position, which I believe strongly contributed to receiving an offer. I would recommend Brad to anyone. My experience as a candidate for a job Brad was recruiting for was exceptional and was really unlike anything I had gone through in a job placement process before. Like many people, he did a great job of understanding the open position and the organization he was representing. His open and frequent communication and drive to make sure the “fit” for both the individual and the company was “right” was where he stood out to me. He communicated at every step of the process (even at night time and/or on the weekends) – what was going on, what mattered, what didn’t matter, etc. He was also very thorough in making sure that the fit was good for me and that I was comfortable long term with my decision. At no point, even before I was in the final round of candidates, did I sense that he was in a hurry to get finality to the process or for a decision to be made. He understood that the decision for the company was a big one and was a potentially life changing decision for me. If I ever go down this path again, I wouldn’t want it any other way. He was excellent on all fronts. It was a pleasure to work with Brad. He really listened to what I was looking for in a job and found me a couple opportunities. He helped me prepare for interviews by helping me pick and choose what experiences I had that the company was looking for in a candidate. He always answered my questions quickly and I really appreciate his genuine positive attitude. I’ve worked with Brad a couple times now and I find that he goes above and beyond to place someone in a position that he believes in. I appreciate all his help and if I ever find myself in the job market again, I will definitely be reaching out to Brad for his assistance. This is the first time in my 35 year career that I have worked with a recruiter, as all other jobs I acquired on my own, so I really have nothing or no one to compare. That said, what did impress me with Brad was his dedication. I was in contact with 4 other recruiters and Brad was by far the most thorough and always kept in touch with updates. I appreciate Brad’s knowledge, dedication and work ethic. Bradley spent a lot of time helping find a position. He had to work around a hard schedule for me and the interviewers. He was able to get me an opportunity that I would have missed if it was not for his diligence. Bradley helped all the way through the hiring process. He was a positive influence. This will not be an experience I will forget because of Bradley’s genuine interest. Everything that I wanted to say about Bradley that has helped me find my new career has already been said by every other testimonial here many times over. I was working with other recruiters and it was very clear to see that he is not only competent and highly skilled at what he does, he also takes into account what your personal goals are and what you might have going on in the background to help you with your search. I know I wasn’t the easiest client to work with and he was able to handle everything in stride. Thanks Bradley. I moved to Ohio 2 months ago and started looking for a job, Brad contacted me for an HR position and during the whole process he was in constant touch with me. He took enough time to know my expectations to match me with my desired job. He always had an honest and open communication with me and with the hiring manager for my new position. I am thankful to him to help me find a good opportunity! Bradley was the perfect recruiter. He took the time to understand me and what I was looking for. He asked the right questions and was able to locate an employer who could use my skill set. He showed me that finding the right position for me was number one on his agenda. I was well prepared when I went for my interview because Bradley helped me understand the company and it’s goals. I would highly recommend Bradley McDaniel and Omni One! I just graduated from college and was looking for a job. Brad contacted me and immediately started to working with me to find a job. He was extremely helpful with providing information about the company and preparing me for the interview. I would highly recommend contacting him if you are looking for a job. I had the opportunity to work with Bradley as I was finishing up school and seeking my first full-time employment. Bradley was on top of the position and provided me with in-depth details along with suggestions going forward. He did a great job of checking in to make sure that not only would I be a good fit for the company, but that the company would be a good fit for me. Because of Bradley I was able to obtain a job in my field in the region that I was seeking. I would highly recommend him to others in any situation of seeking employment. Bradley was excellent in placing me in the position. He had all the information one would ask for which is really helpful. He negotiated everything and was able to get me hired at the pay I was asking. Thank you Bradley. Bradley was very helpful and professional during the entire process. He was quick to follow up and provided information quickly. I would definitely recommend him. We had several openings that needed to be filled immediately. Bradley worked with each manager to determine the type of candidates they were looking for and was able to provide the right talent to fill the role. Bradley was the perfect recruiter, excellent in placing me in the position. He had all the information one would ask for which is really helpful. He negotiated everything and was able to get me hired at the pay I was asking. I would highly recommend Bradley McDaniel. Thank you Bradley. Bradley McDaniel was very professional from the beginning. If I had any questions he immediately responded to my emails or called me. Bradley has made sure every aspect was going well. This includes my job search, to my interview and still after I was hired. Bradley took the stress out of finding a new position. I thank Bradley McDaniel so much for the pleasant, professional experience of finding a new job. I recommend Bradley McDaniel to anyone looking for employment. Thank you so much Bradley. After discovering Omni One's website, Bradley quickly was in contact with me and talked with me thoroughly. He then researched some positions and discussed them with me, making sure that we both thought that I would be a good fit for those positions, and this eventually lead to an interview. Bradley did an excellent job making sure that I was prepared for the interview, and kept in contact with me throughout the entire hiring process. Thanks to him, I have now accepted an offer for a career that I am excited about. I would recommend Bradley to anybody searching for their next career. 10/10!